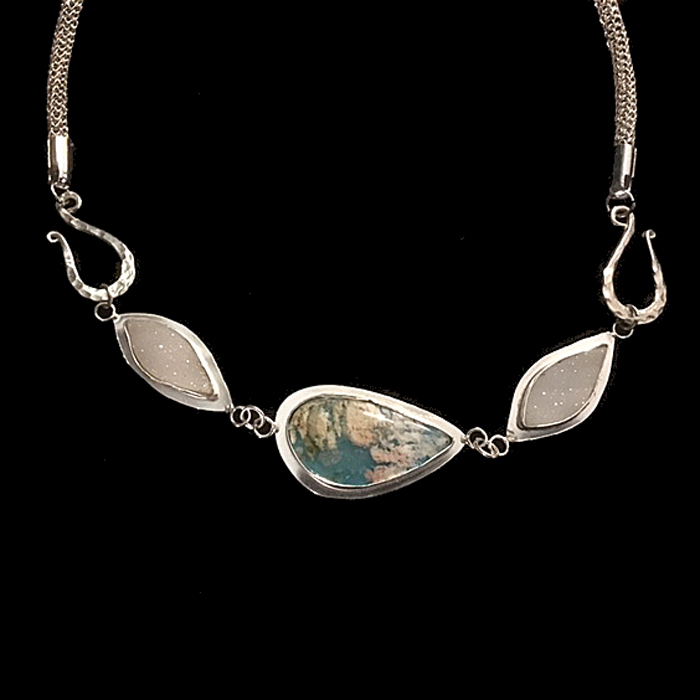 Blue Coral Sea with Handmade Fine Silver Chain. Centerpiece is coral over turquoise with small white drusy pieces on either side. The stones came from Rare Earth Mining Co.